Is this your kind of car? If so, you've come to the right place. How time flies! I haven't done anything to the site for eight months now for various reasons, but I have now added a section on trackday bangers (to give you all something to work on over the winter). 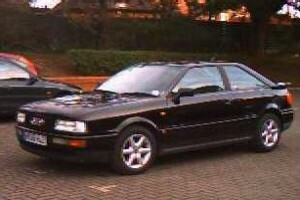 Fleet latest: my Audi Coupe 20V now has a new engine. The old one was starting to use quite a bit of oil, which turned out to be due to worn bores. The swap was a pig of a job, around three full days, but that included swapping various bits over from the old to the new engine as well as a cambelt change. I had been thinking about selling the car, but it is going so well now that I have decided to keep it. The W123 Mercedes I bought as stopgap transport took me all over the country in supreme comfort, then lunched its transmission the week after I had got the Audi back on the road. 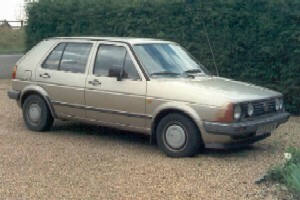 It is now in little bits, and my daily transport is a 1989 VW Jetta GL (£350, 90 mph, 40 mpg, utterly fabulous banger). If you came here looking for information on V8 Land Rovers, the Stage One V8 Pages have moved and can now be found at http://www.glencoyne.co.uk/stage1/stage1.htm. Introduction - What is Bangernomics? The stuff the car manufacturers would rather you didn't know. The Book - James Ruppert's book 'Bangernomics', which brought the word into public use, is still available. Check it out. What's new? - go here for the latest site updates. Buying guides - comprehensive information on how to buy the perfect cheap car. Maintenance - practical advice on how to get the best out of your bargain banger. Feedback - let me know what you think of the site. 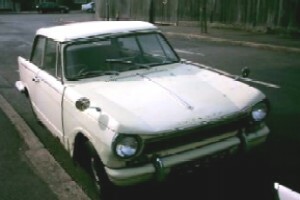 Readers stuff - your chance to see your old-car story published on the Internet. Specialist - photos of classic cars, and any other stuff that I can't find a better home for. Locost Pages - the long-running saga of my attempt to build a Lotus Seven style sports car from scratch. Book Review - American author Kyle Busch sent me a copy of his new book on buying and running a used car. Read the review, and find out where to buy the book. Links - assorted car-related sites that I think are worth a look. * The word 'Bangernomics' is copyright © James Ruppert, author of the original book. 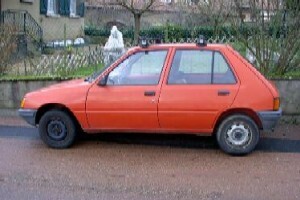 'Bangernomics' is used on this site with the express permission of James Ruppert. Make sure you visit his new website, www.bangernomics.co.uk, for Bangernomics books, T-shirts and stuff. The contents of this website are copyright © Richard Hall, July 2004. Feel free to link your site to mine, but if you want to copy something, e-mail me first to ask permission. This site is aimed at people with some common sense, an awareness of safe working practices and a sense of personal responsibility. If you do not fit the above description, or are the kind of person who looks for someone to sue every time something bad happens to you, please go away and find another website to look at.